On route to take my younger children to school, we have to cross four roads. Two are minor, and two are main roads, neither of which two years ago had a zebra crossing. I decided to use my campaigning skills to petition the council and Transport for London to install one on the school’s road. And to my delight, a year later, they did. Now I use it about four times a day, and it serves the local park too. 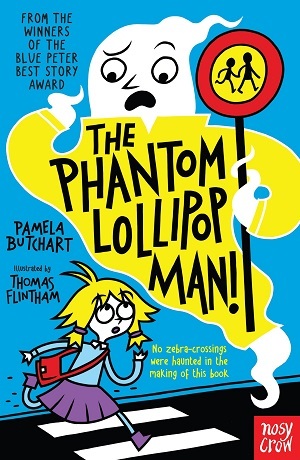 Another school that has a zebra crossing outside, is Izzy’s school in the Pamela Butchart book, The Phantom Lollipop Man, illustrated by Thomas Flintham. This seventh book in the ‘Baby Aliens’ series continues the exploits of Izzy and her friends and their school. In this title the friends are shocked to discover that their lollipop man has disappeared. Instead, they feel an unsettling coldness even when wearing tights, and start to see wispy clouds in the playground. Could he have died and now be haunting the school? So Izzy and her friends determine to find out. On the surface, this is another exuberant adventure from brilliant comedy writer Pamela Butchart. The text flows with Izzy’s characteristic breathlessness, driving the reader through the plot and as always staying true to the brilliant friendship group, each member clearly distinguished by their character traits. But what makes the book so endearing, other than the CAPITAL LETTERS, illustrations and energetic use of dialogue, is Butchart’s complete comprehension of schools. From her understanding about the importance of blu tack through to school office workers’ signs and the attitude of lunch supervisors, this is imperative as young readers feel a sense of familiarity with the world being created. And although the books are hilarious – this one in particular had me laughing out loud every few pages and is definitely the funniest so far – there is an insightful compassion for the community of a school – the way that each component is dependent on another, and some real truths about what we value in society. Izzy and her friends point to the lack of value we place upon certain people – lollipop workers included (but also perhaps, the school officer workers, the librarians, careworkers etc) and how important their roles are, and how they should be recognised. It’s a subtle message underlying the hugely comedic text, but a vital one. And Butchart also points out the loneliness that can be experienced in old age – when juxtaposed with the intense intimacy of Izzy and her friends, it becomes even more apparent. This is a superb book that deals with community, values and society, and rounds off nicely with good use of the library and empathy for other people. A riotous, happy, storming success. A really top series for newly independent readers. I hope they keep coming. You can buy it here. 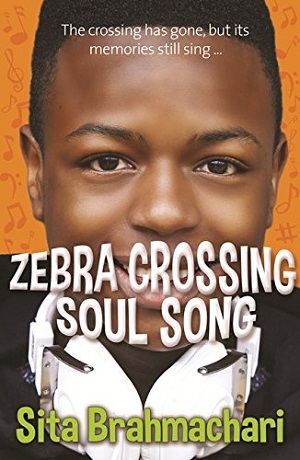 On a similar theme, but for teen readers is Zebra Crossing Soul Song by Sita Brahmachari. 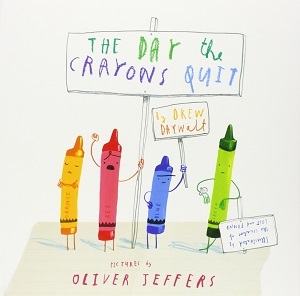 This is a book published by dyslexia specialists Barrington Stoke, and is suitable for a reading age of 8, even though its subject matter is for teens. But it’s an enjoyable read for all. Lenny has spent most of his eighteen years crossing the nearby zebra crossing, aided by the singing ‘zebra man’ Otis. But when Otis isn’t there anymore, Lenny, who is himself struggling as he sits his psychology A-level, looks back on his memories of them together, through music, and finds a way to move forwards. Cleverly, the fixed point of the zebra crossing gives a clear focus for Lenny to look back on his school years from nursery to A-Level as he reaches a crossroads in his life. And the shared passion of music gives Lenny and Otis a clear bond, and also a vehicle for Brahmachari to use music as a distinguishing feature in her novel, as the story is written in music memory tracks – music as a recall mechanism, but also as a form of writing in its own right – like a poem. When Otis disappears, Lenny uses his knowledge of psychology and memory, as well as music to find out what happened in Otis’s past to affect his future, and discovers that not only does music hold a bond with the past, but a vital component of Lenny’s life going forwards. This is a cleverly woven piece, with a sympathetic bond between two people, and, as in Butchart’s light-hearted book, an awareness that although some people aren’t highly valued by society, they are highly valuable as individuals and in the role they play. Lollipop men and women are there to save lives – and sometimes literally do, and they play a positive role in shaping the community they serve. Sometimes it’s the quiet people who make the difference. You can buy it here. I’ve long been a fan of Pamela Butchart’s writing. Her narration spills off the page with bubbliness and enthusiasm and leaves the reader feeling joyful and always entertained. She won the Children’s Book Award in 2016 and the Blue Peter Book Award in 2015, as well as being shortlisted for a Lollie (Laugh Out Loud Book Award), and I think this sums up her stable of texts – hugely popular with children and always packed with humour. If you haven’t come across her books yet, do start reading now. There’s a Werewolf in my Tent is actually the sixth book about Izzy and her set of friends, but each book can happily be read as a standalone. Izzy and her friends are going on a school camping trip, which is HUGELY exciting. Accompanying them are Miss Jones, their teacher, and also Miss Moon, the scary new PE teacher who is whoppingly tall, and a bit hairy too. Once they have pitched tents, things become a little nerve-wracking when there are howling sounds at night, missing sausages, and strange scratches. Could it have anything to do with Miss Moon and her increasingly hairy legs? Butchart excels in the conversational writing style – the story is told by Izzy – in a type of breathless whizzy fashion – exactly how my daughter speaks when she has a story to tell me about her day at school. With capitals every so often for emphasis, and the hilarious black and white illustrations from Flintham, the book really is a laugh a minute. The reader will cringe as they see the truth behind the story, which Izzy and her friends fail to see. The delight is in spotting the absurdity of the friends’ assumptions, and revelling in the zaniness of the plot. And yet, despite this craziness, there’s always a truth behind the story, a grounding in schoolfriends’ experiences, and real emotion – and this is what bears out the longevity and effectiveness of the books, because as well as the adventure and all the silliness, Butchart continually shows the friends’ kindnesses towards each other, their caring attitudes towards their friends. This school trip story deals with homesickness (lightly), the pros and cons of camping, and a full protein diet! Contemporary, indeed. It’s one of my most recommended series for newly independent readers – teaching them plot, dropped clues, emphasis and most importantly a whole lot of fun. Reading doesn’t get much more pleasurable than this at the age of seven. You can buy it here. As you will know by now, 2016 marks 400 years since Shakespeare died. It’s quite difficult to review Shakespeare books for children, as most adults come to the plays with at least a gist of the plot line, and also with a preconceived notion of who Shakespeare was and the influence he wields over our inherited culture, whereas children are approaching him afresh. 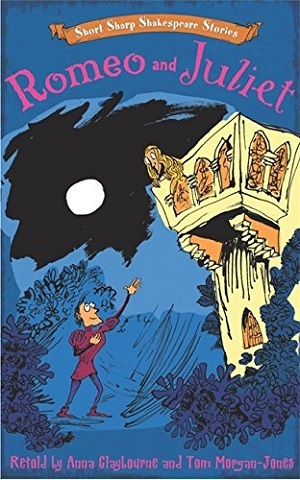 As someone who studied Shakespeare at university, it’s hard to separate existing knowledge from the presentation of Shakespeare in children’s stories, but seeing as it is a big Shakespeare year, I thought I’d reach out to children’s publishers and see what they are producing for the commemoration. And this is what I found. 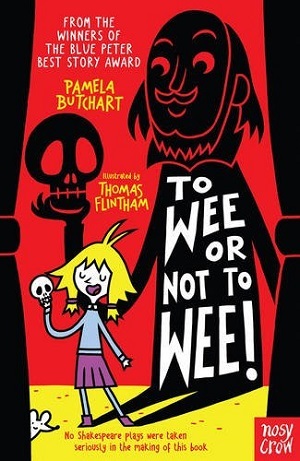 Pamela Butchart is a favourite children’s comic author, and she has tackled Shakespeare with aplomb. After taking part in the BBC School Radio Shakespeare Retold project, she has tried her hand at retelling four of the best known Shakespeare plays in this little collection: Hamlet, Macbeth, A Midsummer Night’s Dream, and Romeo and Juliet. Each story starts by introducing the role call of characters, as one would at the start of a play, but then each story reverts to prose. The stories are told by a contemporary child, Izzy, who is something of an expert on the stories, and likes to show off how things that happen in her life can be related to Shakespeare plays. For example, her friend Zach is totally indecisive, and she compares this to Hamlet – and proceeds to tell her friends the story. Likewise, a feud between her mother and her friend’s mother over invitations to a party is relatable to the feud between the Montagues and Capulets. Sort of. It’s completely tongue in cheek, and made me snort out loud, not only in the tenuous connections between Izzy’s life and Shakespeare, but also in her retellings. For example Ophelia is fed up that Hamlet doesn’t want to marry her, not only because he’s mean to her, but also because her wedding dress is non-refundable. Izzy explains how the Capulets and Montagues fell out over a hoover. Izzy thinks Macbeth should have de-stressed a little by doing a Sudoku instead of burning Macduff’s house down to the ground and killing all his family. Butchart brilliantly conveys the excitement, madcapness, blood, gore and love twists in her stories, but also adds a brilliantly modern childlike prose style to capture emotions. Some fabulous illustrations accompany the text – as well as much of the text being in huge capitals or squiggles to convey when people are POISONED, or MURDERED or IN LOVE. They are funny, thrilling and funny again. Never before has the retelling of Hamlet made me laugh so much. And of course there’s always Midsummer Night’s Dream, which has a man called Bottom in it. Perfect for children of all ages – even the grown up kind. Highly recommend. You can buy it here. 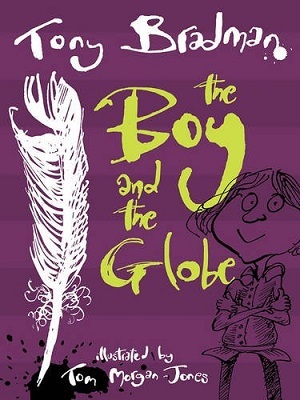 With precision and acute attention to detail, master storyteller Tony Bradman illuminates the time of Shakespeare with a brilliant little story about Toby, a young orphan on the streets of London during the time of Shakespeare. Sent by a Fagin type ringmaster called Moll Cut-Purse, Toby tries his criminal luck pickpocketing at the Globe. But he stumbles across a certain famous playwright, who needs Toby’s help in more ways than one. Before long, Toby is staking out rival players at the Rose theatre, helping Will with sticky plot points, and even acting in a play himself. The story whizzes along in a jaunty and happy style. The young Toby is peppy and interesting and perks up the character of Shakespeare, who is portrayed as slightly jaded and in need of some youthful spark. Bradman has set his story towards the end of Shakespeare’s London playwriting career, so that his reputation already preceded him. The story is fun in itself, but the huge amount of historical detail simply dropped into the story means that the reader comes away with a good picture of how life was in Shakespeare’s time. Added to this, are the production touches given to the book itself – from the endpapers (covered in Yorick skulls) to the fake splodges of ink on the pages, which lend themselves to the idea of the book being written by quill, and the contents – laid out like the beginning of Shakespeare plays, complete with the cast, the time and the place. Tom Morgan-Jones has inked his own unique illustrations, beautifully illuminating scenes and emotions. The story manages to explain the idea behind The Tempest, the role of the players, the rival theatres, and Shakespeare himself, all in short chapters and encapsulated within a ‘ducking and diving’ action story. The activities at the end of the book add further colour, with street scenes and Shakespearean insults. And it’s dyslexia-friendly too. Read this and you certainly won’t have “a February face, So full of frost, of storm and cloudiness.” You can purchase it here. 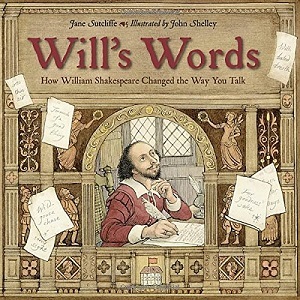 A phenomenal book, with wise words and witty illustrations, drawing attention to which words Shakespeare created and brought into common usage – so much of our language today. It cleverly describes, in a few well-chosen words, what it was like in Shakespeare’s time – from the streets of London to inside the Globe, and backstage. Each double page spread shows a hugely colourful illustration packed with people and historical detail – almost a Shakespeare Where’s Wally. Jane Sutcliffe summarises what’s happening in the scene, using words and phrases that are now in general usage thanks to Shakespeare – either words he invented himself, or words that he simply brought into common usage. A box-off at the side explains the phrases, any changes in meaning, and which play they come from. 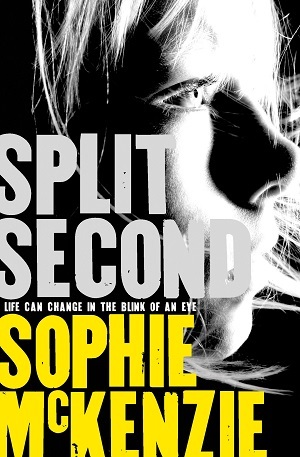 It’s an ingenious concept, superbly executed – I could have read pages more. The illustrations are worth poring over. The packed London scenes include the stocks, pickpockets, sedan chairs, and different classes of people in the hustle and bustle of an ordinary day. John Shelley shows us old-school bridges with houses and buildings stretching across the Thames, as well as the first printers – churning out leaflets to advertise Shakespeare’s new plays. The scenes in the Globe portray different plays, as well as a cross-section of backstage, which is brilliantly done – a trapdoor, a costume room etc. The audience too is amazingly detailed – you can see whether the audience is shocked by the tragedy, roused by the history, and amused by the comedy. There’s even a fascinating explanation of the theatrical phrase ‘box office’. The text is easy to read, and well-written – and hugely enjoyable, as is the postscript from Jane at the end, which winningly describes the relevance of Shakespeare. He made his audiences feel – and this book too makes the reader feel – it’s inspirational and makes you want to delve further into Shakespeare. Standing ovation all round (except of course, most of them were already standing at The Globe!) Get this one here. 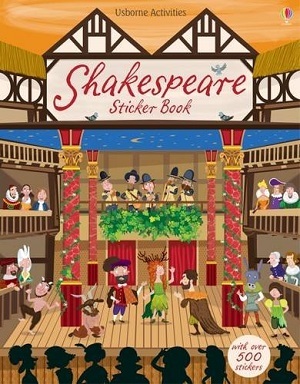 It’d be remiss of me not to include a series of Shakespeare books that retell each play singly, so that readers getting to grips with Shakespeare can pick and choose which play they want to learn about. These Short Sharp Shakespeare books really break down each play, and as above, they are illustrated by Tom-Morgan Jones, who manages to inject each illustration with wit, and personality. After introducing the gist of the story and the who’s who with a strangely complicated graphic, the story is told in prosaic chapters with contemporary language, although with the authentic elements left in, such as duels, swords, candles and silver platters. Every so often an illustration features a speech bubble with the original language, and this is extrapolated at the bottom of the page to explain difficult words and phrases. The pages at the back provide extra tidbits for project work, including explanations of the difference between prose, dialogue and stage directions – writing as a play as opposed to a novel, breaks down the play into acts, gives some context to Shakespeare and the stage, as well as introducing the main themes within the play. A really perfect guide for readers being introduced to the plays, either before studying the original, or before viewing on stage. For ages 9+ years. You can buy it here. This is a completely different way to approach Shakespeare of course, but leads with factual elements, overseen by an expert from The Shakespeare Birthplace Trust, so is reliable information. The first few pages set the scene by describing the idea of ‘players’ to perform plays, and go on to discuss life in London at the time, and the Globe playhouse – bringing history to life with intricate details. Each spread has a small amount of text and a large backdrop and then it’s up to the reader to drop in the stickers where they like. This is where the fun begins. The stickers are light-hearted and hilarious – from the overly dramatic expressions of the players to the spectator who is clearly bored and asleep. There is a lovely selection of rats to place in the scenes of London life, and some brilliant sword-fighting stickers for the scenes at The Globe. The last few spreads are dedicated to a few select plays, including The Tempest, Midsummer, Macbeth and Julius Caesar. Illustrator Paul Nicholls has gone to town on the witches for Macbeth, the fish in The Tempest, and fairy wings for Midsummer. Hilarious and captivating. I can’t wait to start sticking. Especially the numerous angry Romans with blood-dripping daggers in Julius Caesar. Try it here. It’s Shakespeare Saturday this weekend, 23 April. See here for participating bookshops, and grab a Shakespeare Saturday tote bag as part of Books Are My Bag campaign. It’s always hard to review the last book in a trilogy, not knowing if your readers have read the first two. Although not impossible to read as a stand-alone, I would implore everyone to read the first two titles, The Last Wild and The Dark Wild, before coming to The Wild Beyond. 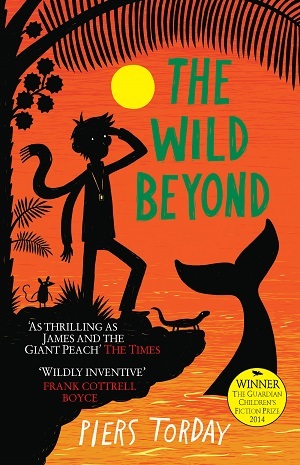 The Wild Beyond matches the magic of the first two books in the series, continuing the adventure story of Kester, his two friends, Polly and Aida, and the animals they have gathered along the way. It is a triumphant and glorious ending to the trilogy, pulling together all the story strands and giving each character a fitting ending. It finishes with an uplifting message of hope, which for a book about how much humans have damaged the world is quite an achievement. Both compellingly written and perfectly pitched for the age group, The Wild Beyond contains equal amounts of fast-paced action, and vivid scenic imagery. Kester is a boy who cannot speak, except to the animals left behind when environmental catastrophes engulfed the world. He has managed to rescue some of the animals, and save quite a few humans too, but his biggest challenge lies in this new adventure, as he has to make enormous decisions about where and how the human race can continue to survive. When a blue whale delivers a frightening message about the near future to Kester, he realises that he will have to travel a long way to seek the answers to his questions. Torday’s masterstroke is that although the adventures are fantastical, the characters of the children are so rooted and grounded, and their camaraderie with each other so real, that the reader immediately identifies with them. The friendship between Kester and his two loyal friends is magical, brave and provokes humour and hope. It stands out precisely because it is unremarkable. The children find strength in unity and never give up. What’s more the book has a magnificent villain in Fenella Clancy-Clay, a pale ice-cold woman with a necklace of magical icicles, who captains a ship made out of glass. She’s like a cruel mixture of Mrs Coulter from His Dark Materials, the Snow Queen, and Cruella de Ville. There are many terrific scenes – the introduction of the dolphins and their conversations with Kester was one of the highlights for me, as well as the mass of dense imagery that Torday manages to pack into the novel, from huge seas, to islands, and spaceships, as well as daring action scenes involving planes careering out the sky to engulfing fires and deluging floods. But throughout, Torday’s characters retain a great sense of humour, which makes the book a joy to read. For me,The Last Wild trilogy is good enough to be an all-time children’s classic. Your children will be enthralled – and when they’ve finished – take it for yourself. Buy your own copies here. 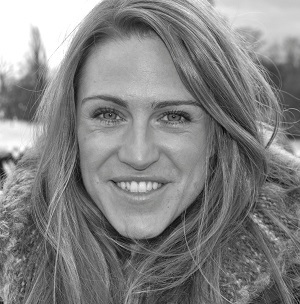 Abi Elphinstone’s debut children’s book, The Dreamsnatcher, is a bit special. It’s my Book of the Week this week, and you can read the review here. The Dreamsnatcher wasn’t sent to me by a publisher for promotion or review, I merely stumbled across it when going through the entries for next year’s Red House Book Awards. The blurb appealed and I read it before ‘testing’ it on the children. It had quite a hold. 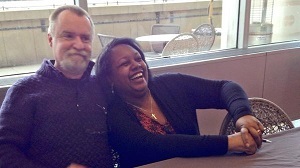 Then Abi and I started tweeting and she kindly agreed to be interviewed on my blog. MinervaReads: You’re obviously very influenced by reading the works of Phillip Pullman. What other influences would you cite – for me the gypsy qualities in Moll were also reminiscent of The Diddakoi by Rumer Godden? Abi: Ha! Yes, I adore Phillip Pullman’s books. Northern Lights, together with C.S. Lewis’ The Chronicles of Narnia, were the books that made me believe in magic and Pullman even wrote me a little note wishing me luck in my writing when I started out six years ago. I learnt how to write action scenes from reading Michelle Paver’s books, particularly the brilliant Chronicles of Ancient Darkness series, and The Diddakoi by Rumer Godden inspired me to create a Romany gypsy girl with spirit. Oh, and Moll’s slightly ‘off the wall’ nature comes from reading about truly unique heroines like Mina from David Almond’s My Name is Mina and Sophie in Katherine Rundell’s Rooftoppers. MinervaReads: The natural imagery and surrounding landscape are key to your story. Do you see this as a growing trend in children’s literature – and did you purposefully set out to make the setting vague and unknowable so we don’t know which country Moll is from? Abi: Having grown up in the wilds of Scotland, I think I’m naturally drawn to stories set in remote landscapes – and whenever I go walking in the highlands or swimming in the Fairy Pools on Skye, I can’t help but feel there is so much magic buried away up there. I’m not sure if there is a trend emerging with children’s writers focusing on natural landscapes but I adore any book that does, like The Black North by Nigel McDowell and The River Singers by Tom Moorhouse most recently. I’ve got plans for a series about an Inuit girl called Eska and a grizzly bear cub next but as with The Dreamsnatcher, I won’t give specific place names. I deliberately wanted my setting to be vague (even though I did much of my research in the New Forest) because that way children can dream up the story anywhere. MinervaReads: How did you get published? And did it take a long time for you to write The Dreamsnatcher? Abi: From the ages of 24 – 28, I wrote three books. I sent each one out to a smattering of literary agents and I think I racked up 96 rejections in total. I guess that’s what happens when you dash out stories that don’t matter that much to you… A few agents said they saw ‘glimpses of brilliance’ and ‘raw talent’ in my work but that my plots were unoriginal and my writing style was amateur. So I kept writing, I went to literary festivals and writing workshops, I read more and more children’s books, and most importantly, I re-worked my ideas and style until they were the very best that they could be. 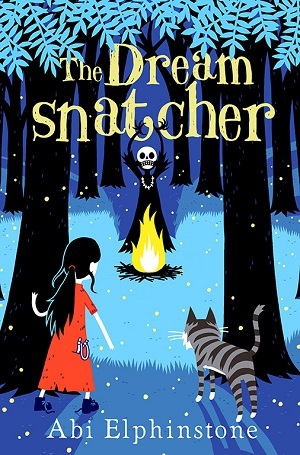 I wrote The Dreamsnatcher over the course of a year and I literally threw everything at it because it was finally a story I wanted to tell: I watched wildcats prowl in the New Forest, carved wooden flowers with a Romany gypsy and wrote every spare second I could until there were literally no words left inside me! Then I sent off The Dreamsnatcher to one agent, Hannah Sheppard – and she signed me. Although the rejection process was painful, it taught me a lot about humility, determination and creativity. MinervaReads: Some of the imagery (the burning of the hand at the beginning) is quite unsettling and frightening. What’s your view on the use of frightening imagery in children’s books? Abi: Yeah, I scared myself when writing about Skull quite a few times! But I think that as long as you offer children hope – and virtues like bravery, friendship, tolerance and kindness set against the evil you present – then you can go quite dark. I mean, Tolkien totally terrified me as a child but Frodo and Samwise Gamgee taught me to be brave – and I think that kind of lesson is worth being scared rigid by Black Riders for. MinervaReads: The character of Moll is so well defined. Have you always had her in your head as a sort of alter ego or did you mould her as you wrote the story? Abi: Hehe. Moll is basically me: ‘a ball of misdirected enthusiasm’ (that’s how my brothers describe me). She’s energetic and adventurous but hopelessly headstrong and pretty impatient – and she almost always says the wrong thing at the wrong time. But she means well and she’s fab with a catapult. Moll was the easiest character to write because I just kept scribbling down what I’d do and say in the situations she got into. It was a LOT of fun. MinervaReads: One of myy most treasured possessions is a set of the His Dark Materials trilogy signed by Phillip Pullman to my children. What’s your most treasured possession? Abi: My teddy. It goes everywhere with me. He even went on my honeymoon. Wow, that’s embarrassing seeing that sentence in actual typed letters on my computer screen. Oh well. It’s awards season. Sandwiched between the BAFTAs and the Oscars, and following hot on the Costa Book Award, was yesterday’s Federation of Children’s Book Groups’ Red House Children’s Book Awards 2015. There were no designer frocks, no red carpet, and a distinct lack of paparazzi, but the event was a warm embracing ceremony, with excited children lining up to have a chat with their favourite authors, and to get their much cherished books signed. For the authors, not only were they shortlisted for the national prize voted for by children, but they were also presented with a portfolio of feedback – pictures, poems, reviews and letters all from their readers. I’m sure these are just as precious as any metal trophies. The shortlist was as follows, for Younger Children: Dragon Loves Penguin by Debi Gliori (review here), The Day the Crayons Quit by Drew Daywalt, illustrated by Oliver Jeffers (review here), Go to Sleep or I Let Loose the Leopard by Steve Cole, illustrated by Bruce Ingman, and That Is Not a Good Idea! By Mo Willems. 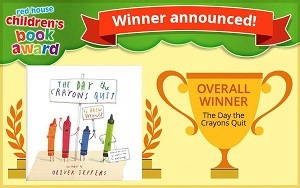 The winner is The Day the Crayons Quit. For Younger Readers, the shortlist was Baby Aliens Got My Teacher! 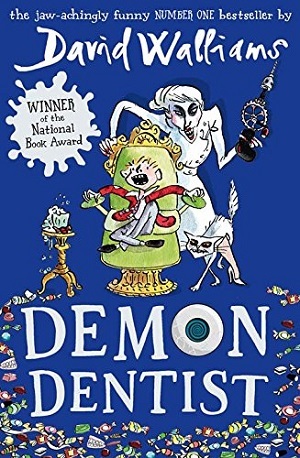 By Pamela Butchart, illustrated by Thomas Flintham, The Bomber Dog by Megan Rix, and Demon Dentist by David Walliams, illustrated by Tony Ross. The winner is Demon Dentist. For Older Readers, the shortlist was Noble Conflict by Malorie Blackman, Prince of the Icemark by Stuart Hill and Split Second by Sophie McKenzie. The winner is Split Second. And this all made me think. What are awards ceremonies for? Why do we do it? Of course, there is massive attention paid to the books/films/artworks which win awards, all of which drive value or sales, and so it’s a marketing person’s passion to be on the shortlisted or winning team. But for an author, what does it say? For how do we judge a good work of fiction? Being in a bookgroup, or chatting to anyone else who reads, it’s clear that what suits one doesn’t suit another. I love the Bronte sisters but I don’t love Dickens. Reading fiction is obviously completely subjective. On what criteria is it that we judge books when we give them awards? Similarly, what criteria makes a child’s piece of creative writing deserve an A rather than a B grade? There might be a checklist, but it’s totally dependent on the judges isn’t it? One of those million dollar questions bandied about by authors and such, is ‘Would you rather write a bestseller or win the Booker prize?’ Of course winning the Booker might make you a best seller, but how about the Nobel Prize for Literature? Ie. would you rather be read by millions, or read and judged to be best by a few? The Red House Children’s Book Award is great because it’s voted for by the readers – so it kind of ticks both boxes. Even then, pitting books against each other in an age range is hard. Whether it’s fantasy against contemporary, or funny against historical, are we right to rate them against each other, when some children don’t even like one of those genres? The author SF Said recently raised the question of whether children’s books should be considered for the top book awards too – not just judged for the Carnegie Medal. Is it right that there’s a women author only prize? (Bailey’s, previously the Orange). The Booker has just started accepting novelists from the US as entrants as well as the original Commonwealth-only criteria, but should it even be judging different genre books against each other at all. It aims to judge ‘the best novel in the opinion of the judges’. Therein lies the rub. The judges. In conclusion, we each make a judgement when we read a book, so why not celebrate our opinions with award ceremonies. They grab that elusive media attention – they pull people in to reading books, they drive sales of books. We’ve been telling stories since the Bible and before, and we will continue to do so. And if the RHCBA brings together children’s authors and their readers and celebrates children’s books, as the culmination of the Imagine Children’s Literature Festival, then I’m all for it. Judge away. Tell everyone which are your favourite children’s books. The children who accompanied me had a fantastic time meeting authors they admired, and hearing readings and seeing live drawings. I came away from the event with recommendations for even more great children’s literature. And some beautiful autographs too.